In the last five years, this has been the biggest rivalry in football. Yes, you can argue that Ravens/Steelers or Jets/Patriots rivalries have been significant, but I’ve never seen two franchises hate each other as much as the Eagles and Giants in my lifetime. On a cold Halloween night at the Vet, the Giants marched into Philly with a 4-3 record. The Eagles were struggling at the time with rookie Donovan McNabb starting at quarterback and led by first-year head coach Andy Reid. This game would turn out to be a classic. With the Giants down 17-3 heading into the fourth quarter, the Giants would score twice to tie the game. In overtime, Giants defensive lineman Christian Peter tipped McNabb’s pass which landed in the hand of the Michael Strahan. The all-pro defensive end picked off the pass and returned it for a touchdown sealing the comeback victory. In the 2000 season, the NFC East rivals met in the NFC Divisional Playoffs. 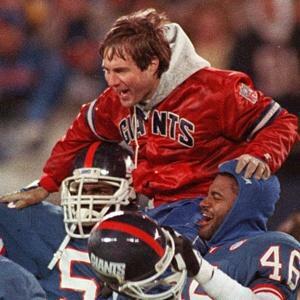 The heavily favored Giants began the game with a 97 yard kick-off return by Ron Dixon, and they didn’t look back. In one of the most memorable plays in Giants playoff history, G-Men cornerback Jason Sehorn made an acrobatic interception and returned it for a touchdown. The Giants would go on to win the game 20-10 and march onto the NFC Championship. Exactly six years after the Giants defeated the Eagles in the playoffs, Philadelphia would get redemption. 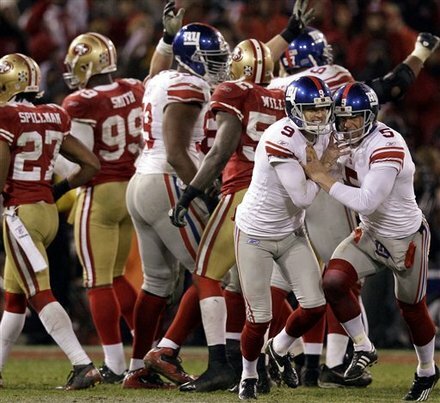 In the 2006 Wild Card match-up, the Giants headed to the Linc as the heavy underdogs. 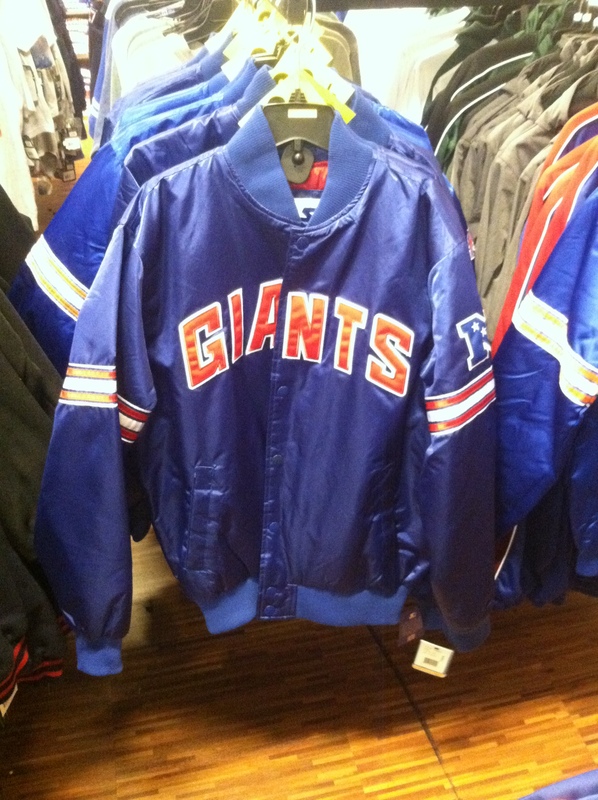 The Giants looked promising at the beginning of the 2006 season with a 6-2 record. But after finished the second half the season at an abysmal 2-6, the G-Men found themselves crawling into the playoffs. Meanwhie, the Eagles were hottest team in the NFL in November and December. With McNabb out for the season, backup quarterback Jeff Garcia led Philadelphia to five straight victories to close out the season and clinch the NFC East. The Giants would give the Eagles a good fight in the playoffs, but the Eagles would go on to prevail with a game-winning field goal by David Akers as time expired. Nothing new to write here – just read the article on 5BS from when it happened. After a phenomenal offseason by the Eagles given the signings of Cullen Jenkins, Nnamdi Asomugha, and Vince Young, Philadelphia was self-proclaimed the “Dream Team.” The Giants, on the other hand, looked like a team in turmoil. Having lost their starting cornerback Terrell Thomas and linebacker Jonathan Goff to season-ending injuries, and having lost starting tight end David Boss and wide receiver Steve Smith to free agency, the Giants looked a team destined for the NFC East cellar. 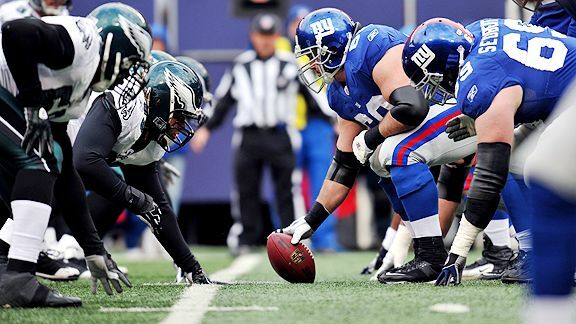 But in week 3, the GMen went into the Linc and stunned the Eagles with a 29-16 victory. The Giants would go on to win the Super Bowl while the Eagles failed to make the playoffs.